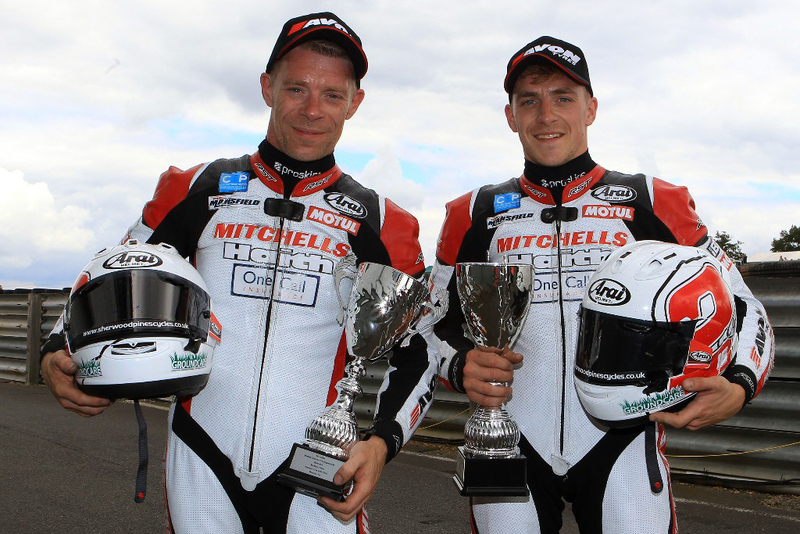 Once again Ben and Tom Birchall scored maximum points in the British 600 Cup when they travelled to their local track of Mallory Park for an extra round of the championship on Sunday. 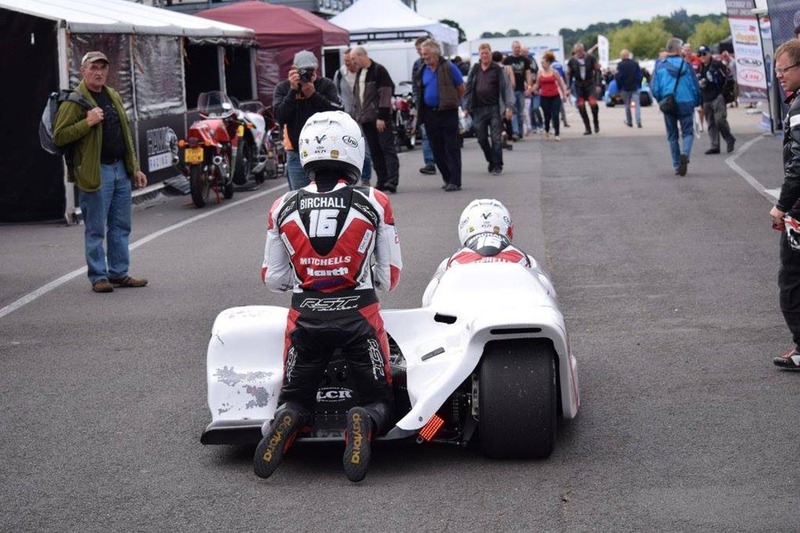 Although they were using their LCR 600cc Honda and were therefore at a disadvantage against the 1000cc machines in the F1 class Ben and Tom were in their element and beat all the F1 outfits to secure pole position for first 12 lap race. 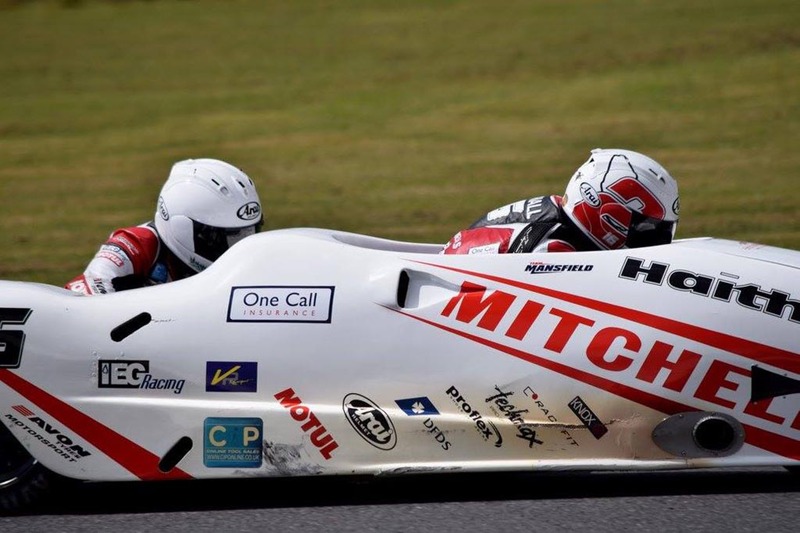 As the race got underway the Mitchells of Mansfield supported riders were running in third place but on lap two they overtook Holland/Watson to move into second place overall and although they were very close to the leaders they remained in second place to the chequered flag. They took their class win by a large margin from Bennett/Cain to further extend their lead at the top of the rider standings in the 600 Cup. Starting once again from the front row Ben and Tom didn’t get such a good start and settled into fourth place on the first lap. Try as they may, they were unable to make a pass on Walker/Hawes until at last on lap seven they made their way past and made the move stick. 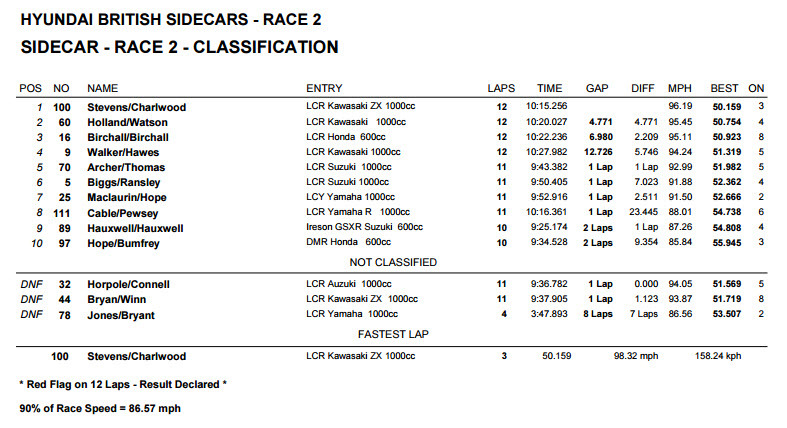 They then proceeded to chase Holland/Watson for second place but the red flag brought the race to an early end after 11 of 18 laps and they had to settle for third place overall and another decisive win in the 600 Cup class. 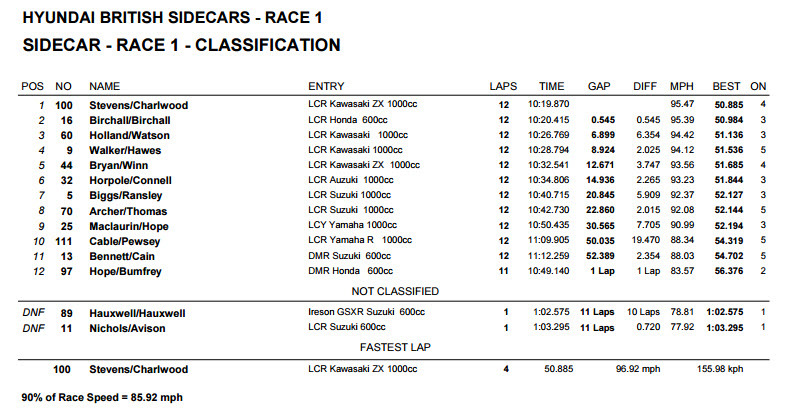 “it was another great weekend of racing for us and we continued to find success in our class with two good wins. Most importantly we secured pole position and two podium placed results against the faster and bigger engine capacity F1 machines which, for our 600cc is a great set of results. 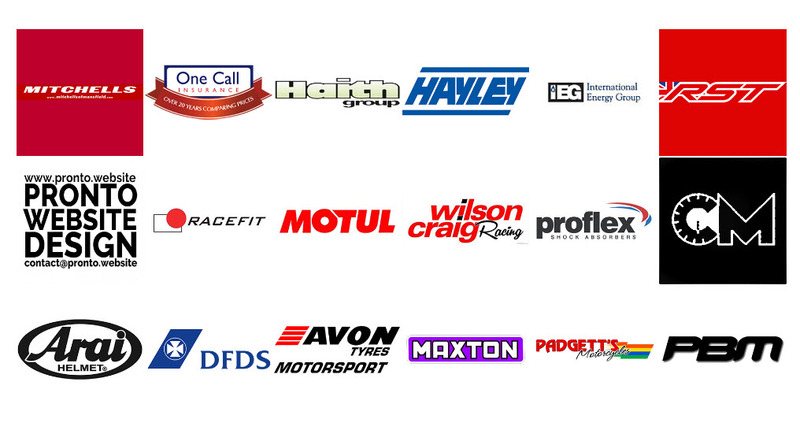 Ben and Tom now turn their attention back to the world championship as they prepare to set off for Assen in the Netherlands for the next round of the championship which takes place on Sunday, August 7.